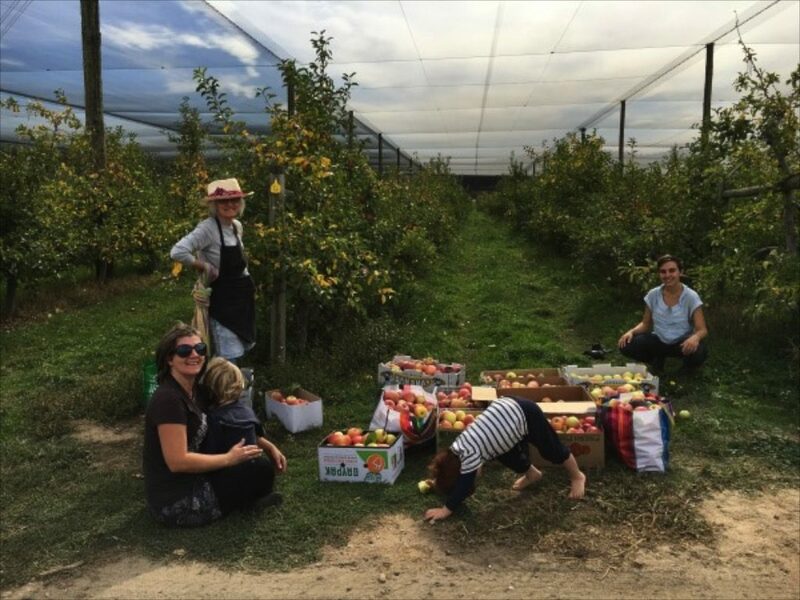 From collective fruit harvesting to skill sharing to school lunch programs… if you’re looking for inspiration for creating community, the Growing Abundance project in Castlemaine is a treasure trove. The programs run by Growing Abundance are many, but they all centre around food, and what a really truly local food system could look like. 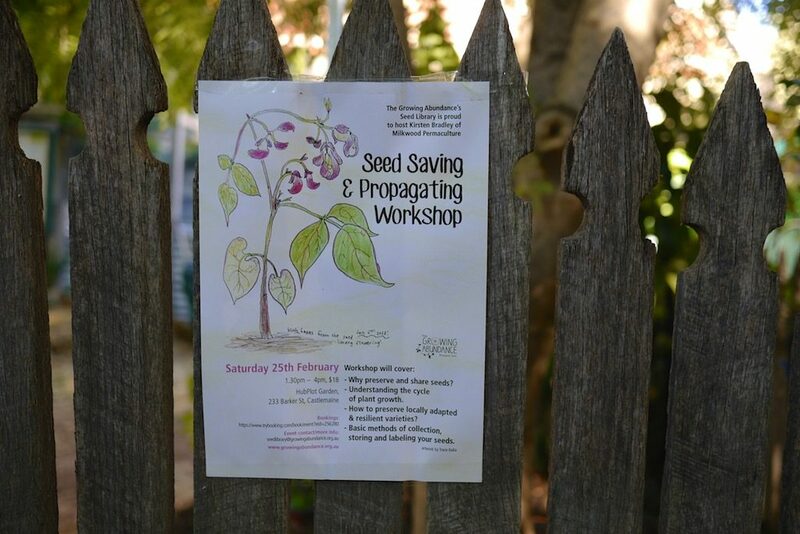 “A seed was planted in Castlemaine, a small country town in Australia when in 2010 passionate and active community members came together to discuss how we as a community might transition to a future that is less dependent on fossil fuels, more connected and sustainable. 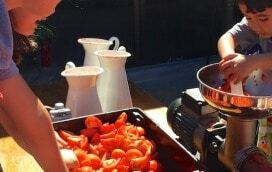 Food featured as a major part of these conversations and from the connections, ideas and skills that were shared, flowed many community initiatives. 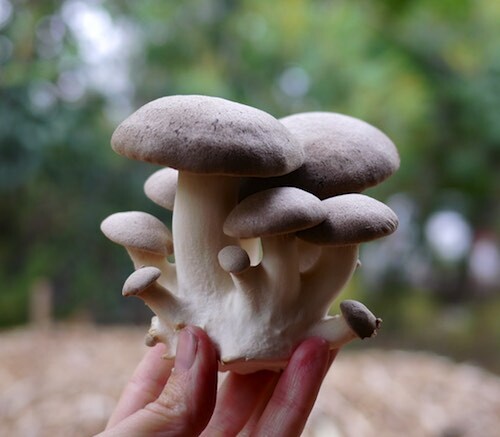 The Growing Abundance Project was one of these. 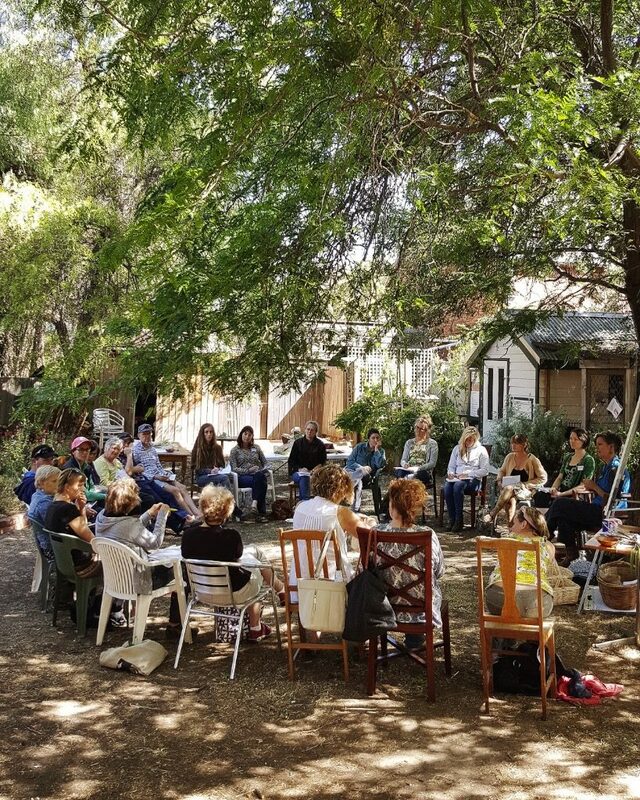 We worked hard to bring a range of community members in to the discussion to hear and learn what a strong local food system might look like and referenced models such as Transition Towns, Permaculture and Deep Ecology. 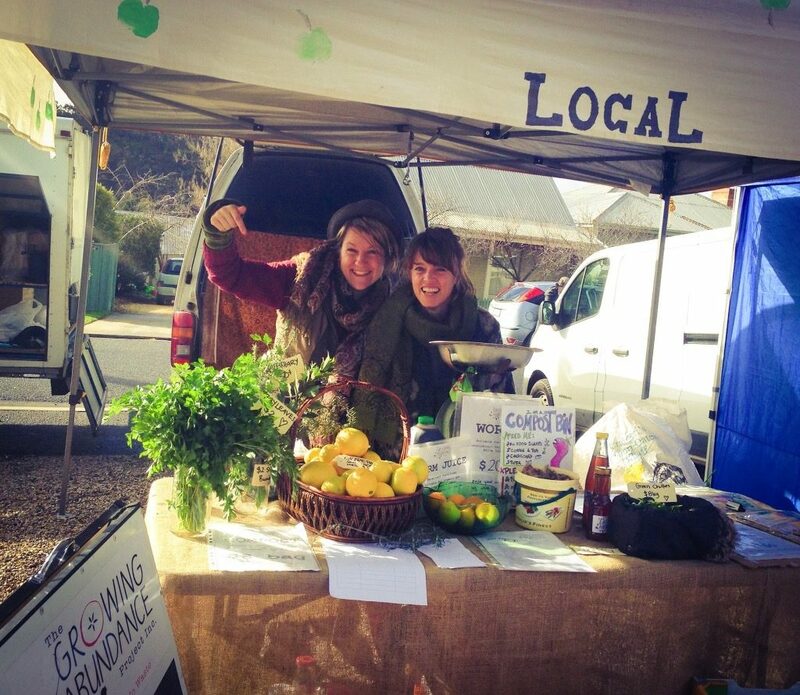 Growing Abundance’s harvest program centres around fruit, because fruit is one thing Castlemaine has a lot of. 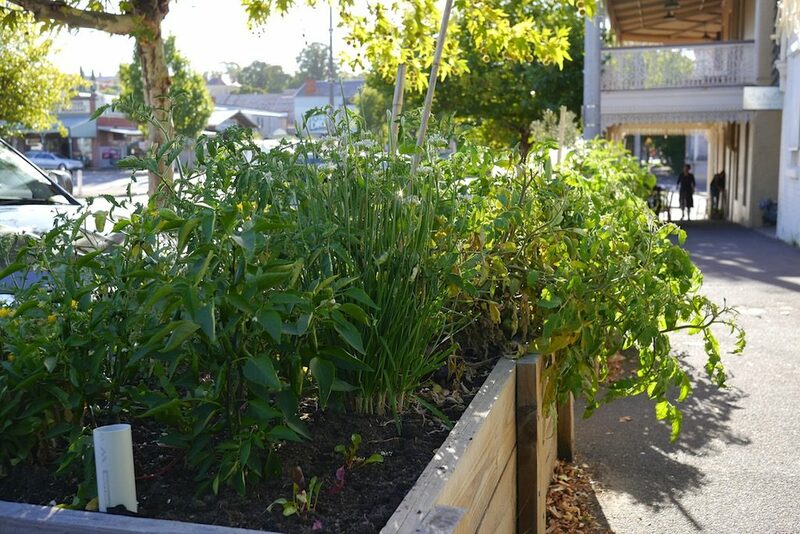 That said, the harvest program will take any food that’s going, and in need of community-level harvesting. 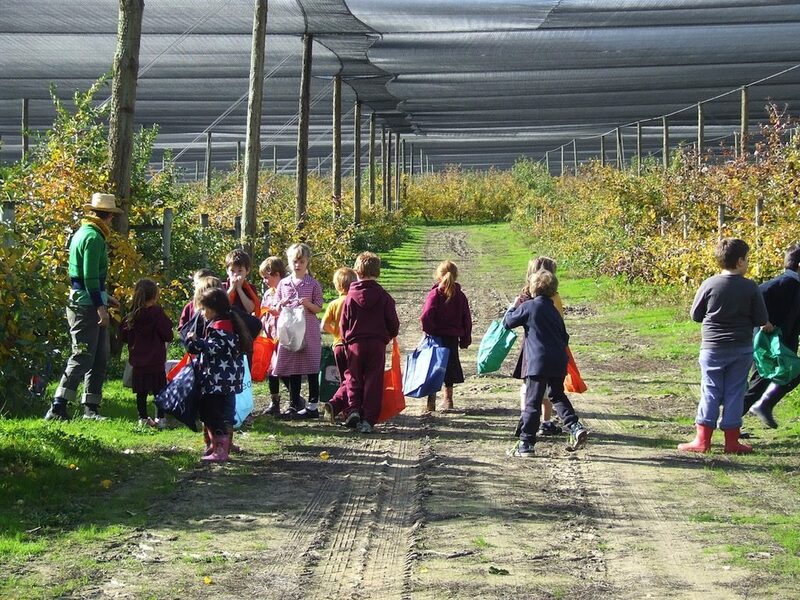 6 years old and going strong, the harvest program harvests local excess fruit each Wednesday, from summer till winter. Each week different teams head to different properties (last week there were 6 teams! 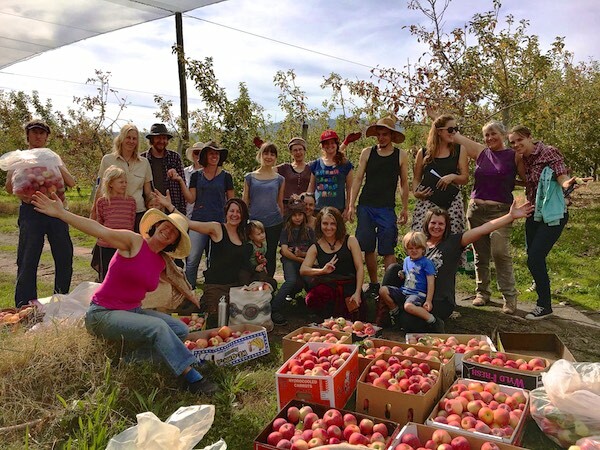 Thats a lot of volunteer love), wild spaces or established orchards to harvest, and the bounty is brought back to Growing Abundance HQ for distribution to local schools and community groups. 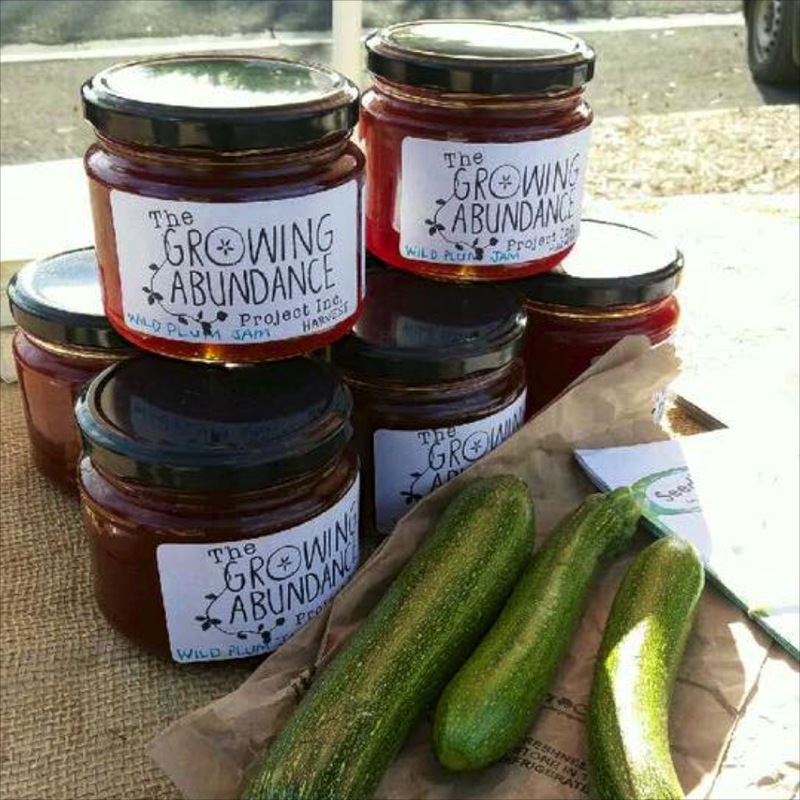 Any leftovers from the weekly distribution process are used in Growing Abundance’s new cafe, or preserved for their weekly market stall, or used in their school canteen program. 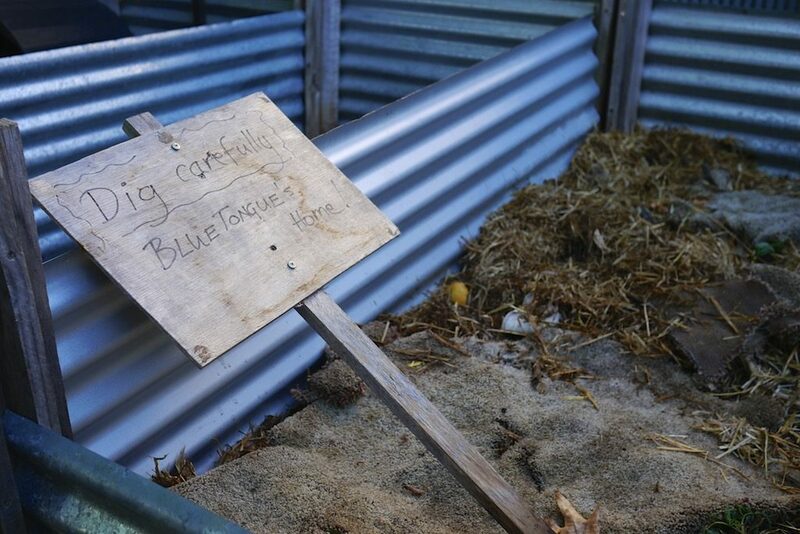 The unusable bits go to a list of locals with chickens or pigs, to turn the waste back into goodness. 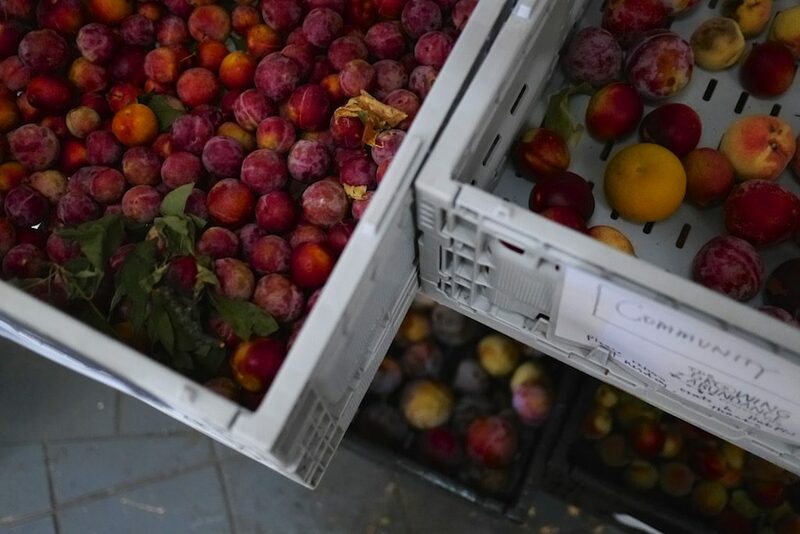 In the other half of the year, the Harvest program prunes local fruit trees to keep them healthy and happy until next harvest. 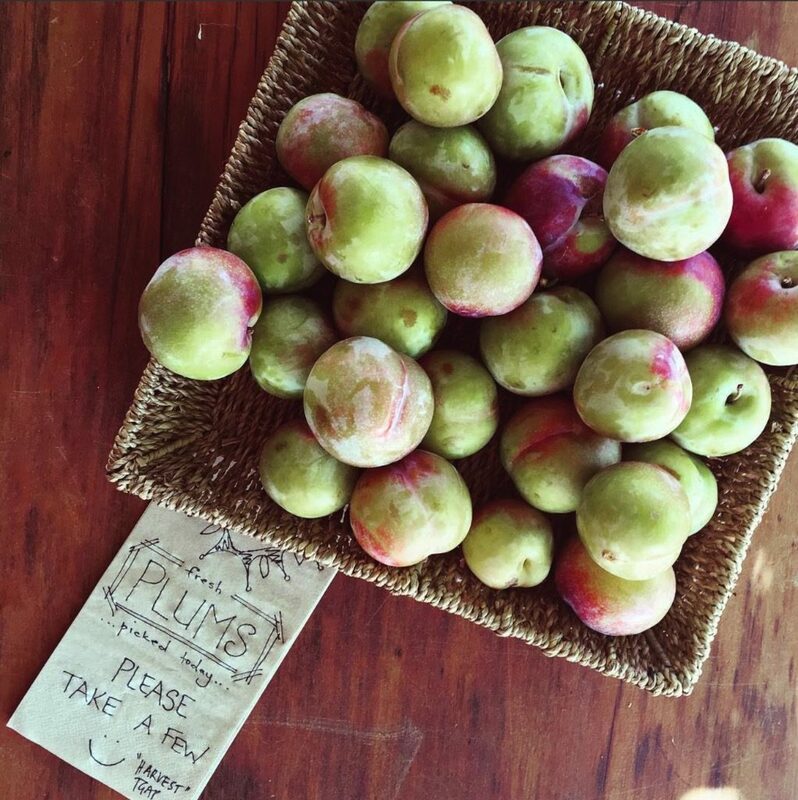 Via a fruit tree registration system, locals can register their tree or trees to enter the harvest program. 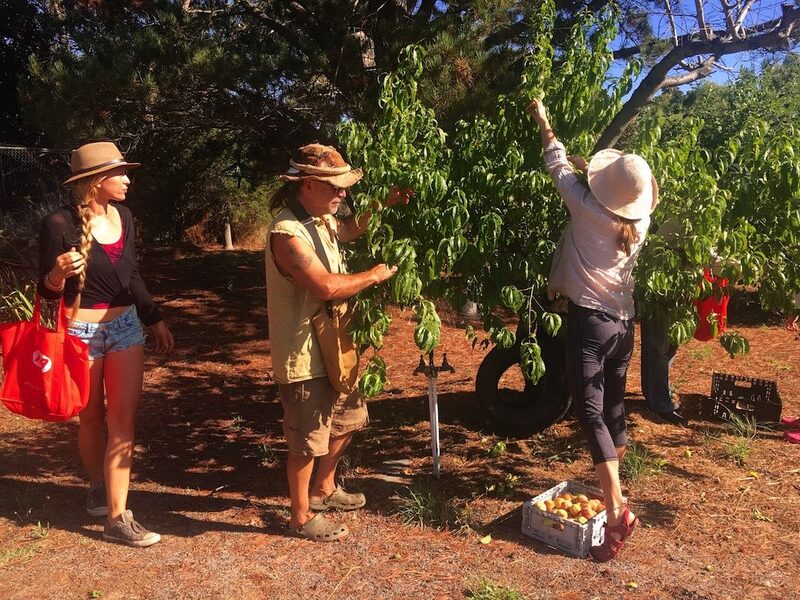 Registered fruit trees receive winter pruning and care, alongside summer harvesting. 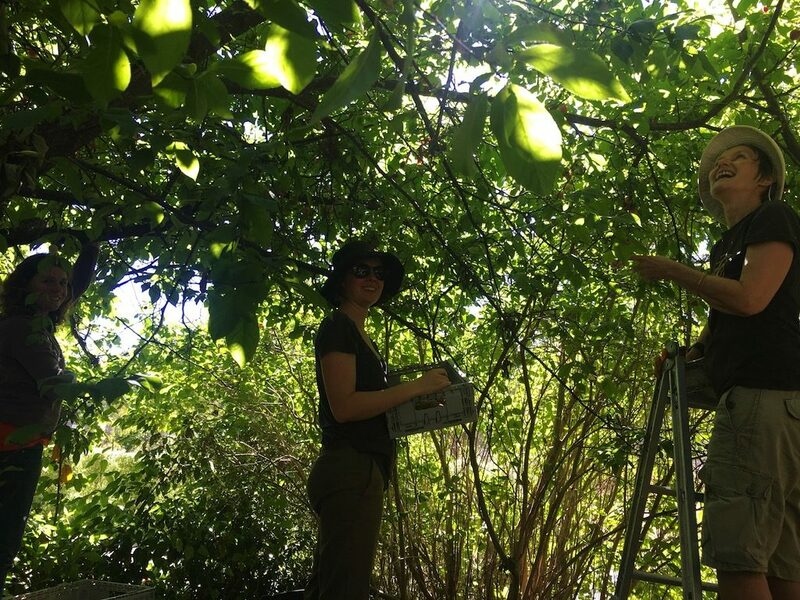 A fantastic way to upskill locals about their trees, share the harvest, and minimise fruit tree disease in the local food system. 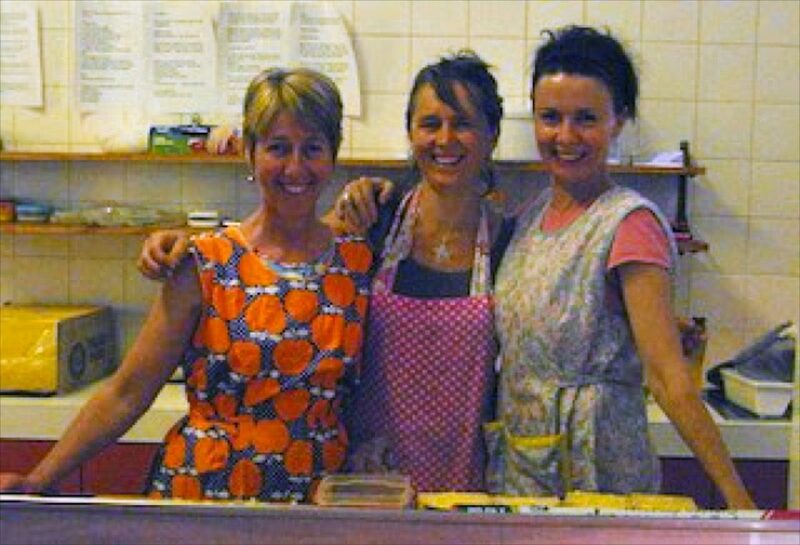 Growing Abundance also runs a canteen program for the local school – all orders are done online, the lunches are made to order from local or harvested ingredients, packed in a community kitchen, and ferried over to school before lunch time. It’s a simple menu of good stuff that kids will happily eat, made by the community for the community. 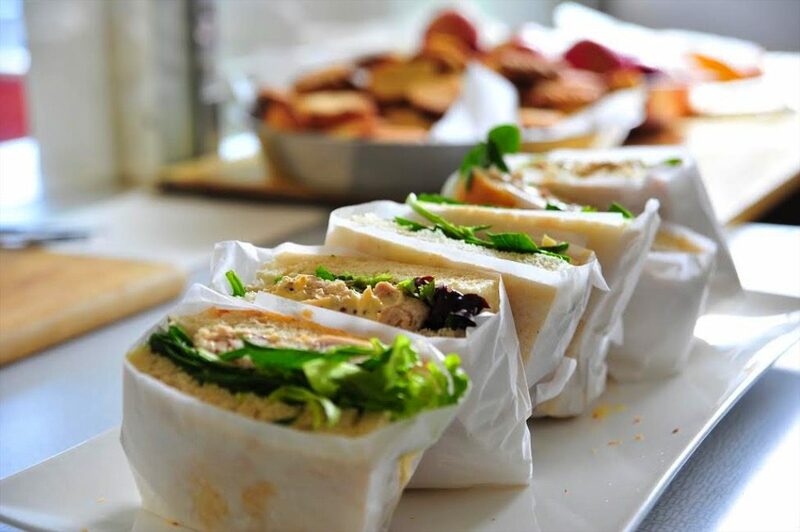 No preservatives, no sugar laden anything, and as local and healthy as possible. 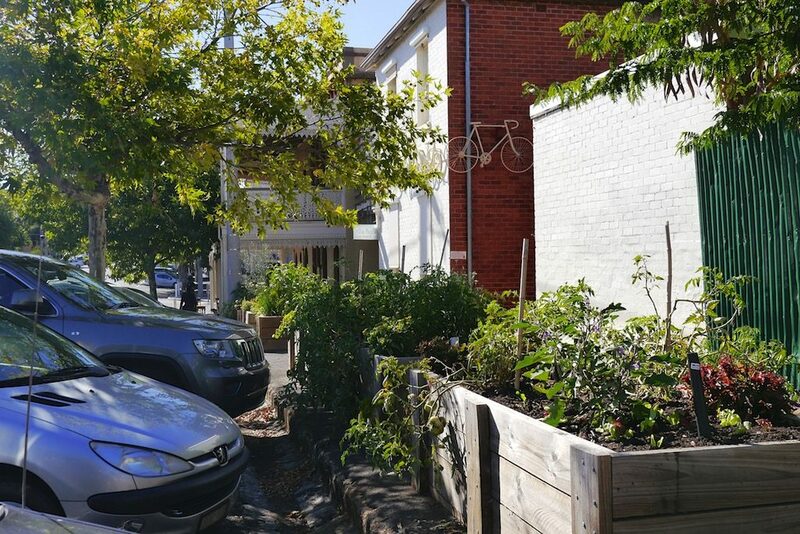 Located out the back of The Hub, a great community building filled with organisations doing good things, is Growing Abundance’s Hub Plot. 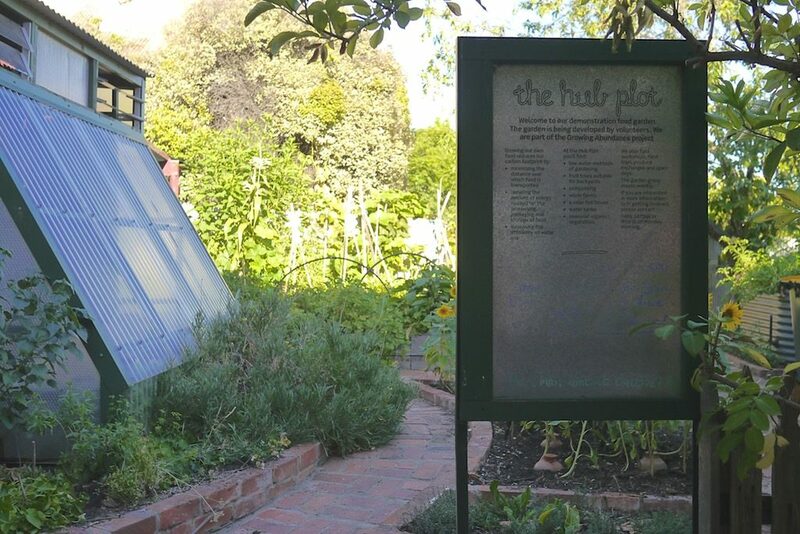 The gate is always unlocked on this community garden. 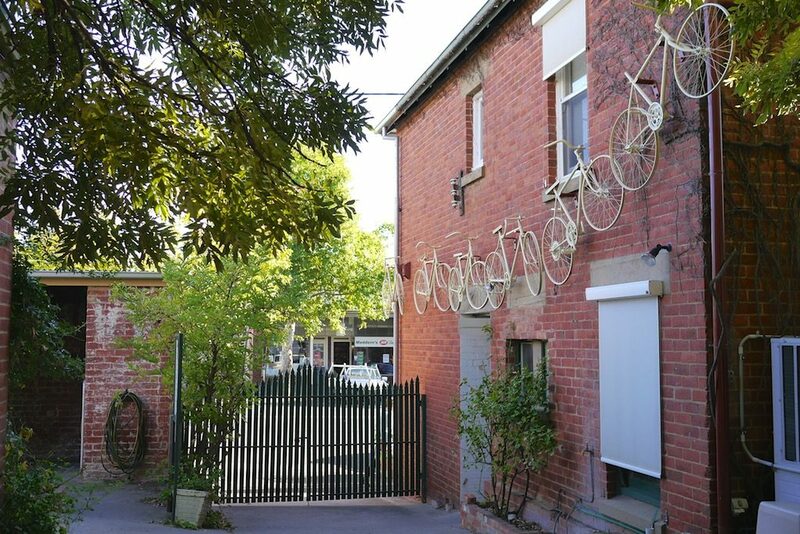 It’s a beloved workshop space as well as a food garden, skill share centre and pollinator’s paradise. 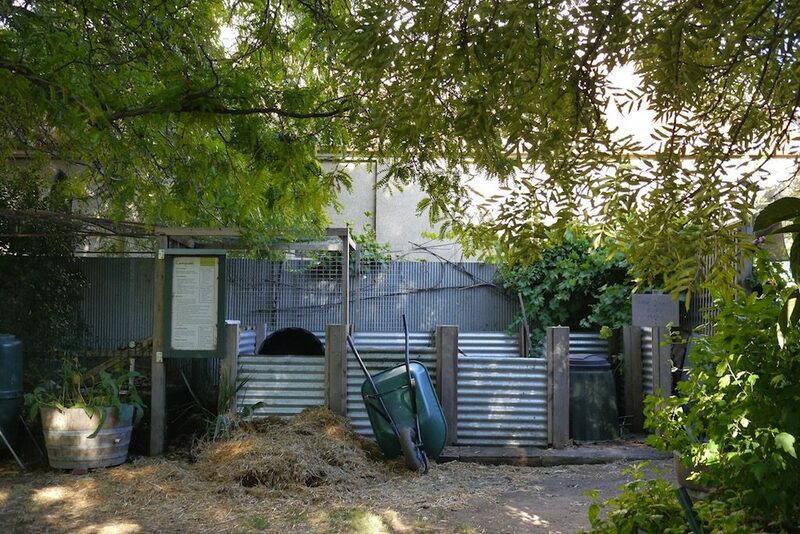 Community composting at the front, bees and chooks at the back, good things to eat all around. 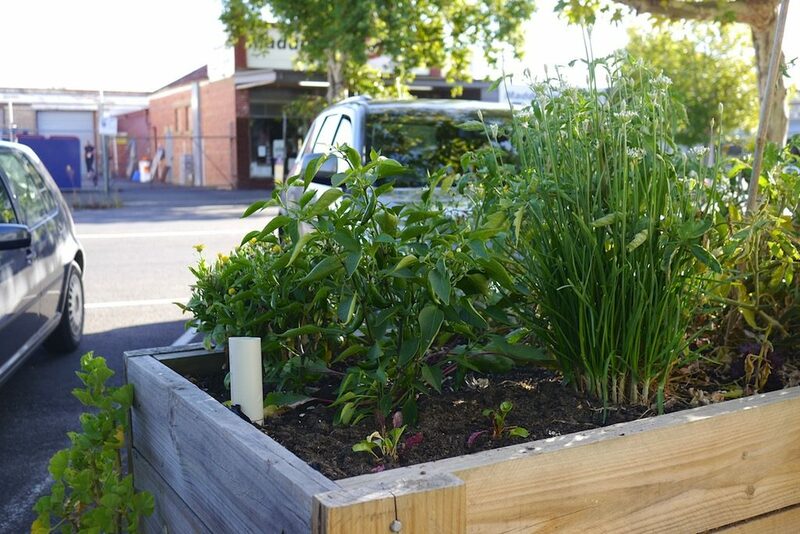 Down the side of The Hub building are a range of Growing Abundance wicking beds, which provide free food and general gorgeousness to the streets of Castlemaine, while being as waterwise as possible. 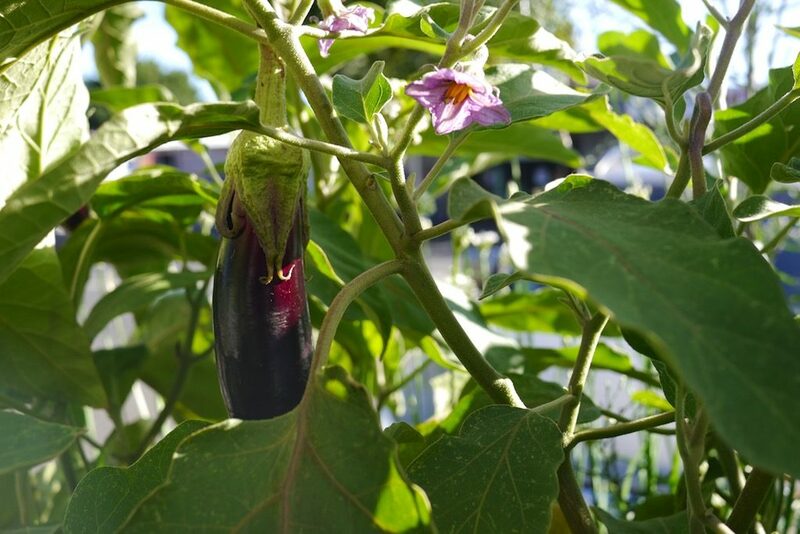 The wicking beds provide education, as well as eggplants and a range of herbs, to whoever passes by. 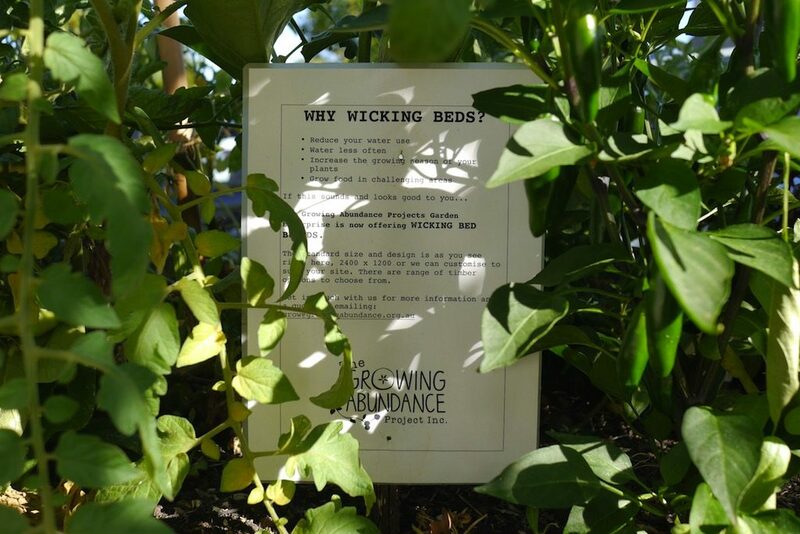 As part of Growing Abundance’s mission to find creative (and enduring) ways to fund their programs, the Green Gage team are now selling and constructing these wicking beds as a locally available product. 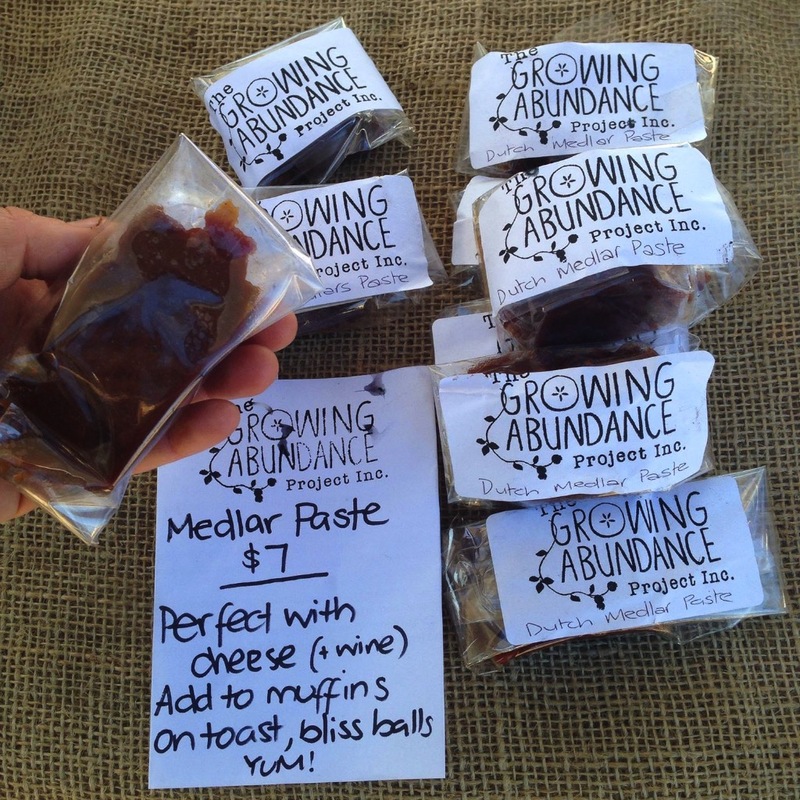 A funky acronym of Growing Abundance Garden Enterprise, as well as a delicious plum – Green Gage is one of the enterprise arms of Growing Abundance, bringing in a small amount of much needed funds through the sale of needful things. 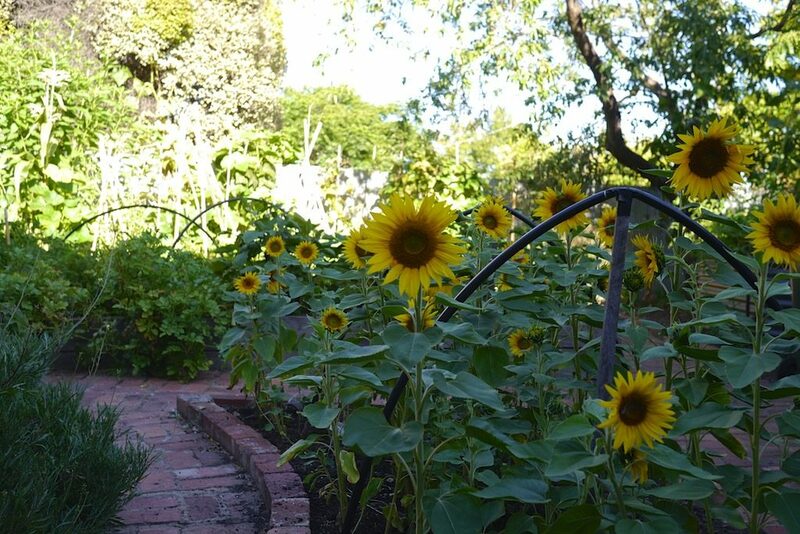 Currently Green Gage runs the Growing Abundance online shop, which sells fruit netting, compost and other garden products for local gardeners. 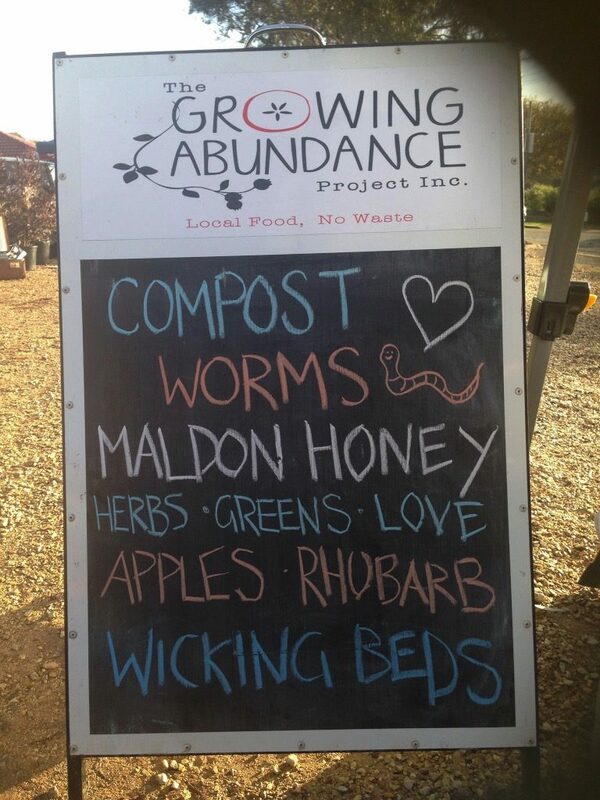 Green Gage also runs the Growing Abundance stall at the local Wesley Hill Market each weekend, selling local produce, preserves, compost, wicking beds, apple juice, local honey and whatever else is in season. 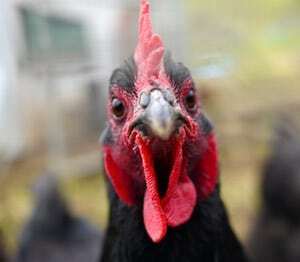 Moving forward, Green Gage is also gearing up to be a garden design business (including wicking bed builds! 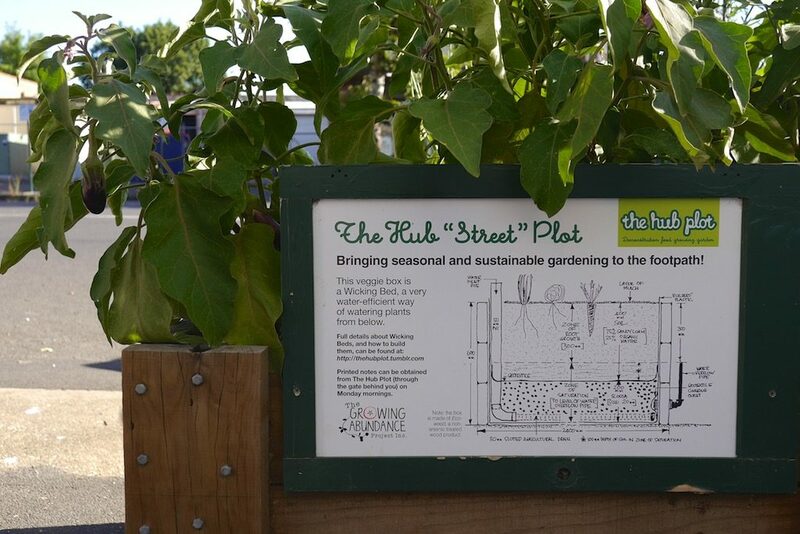 ), providing local knowledge and garden design, using local plants, inputs and materials. 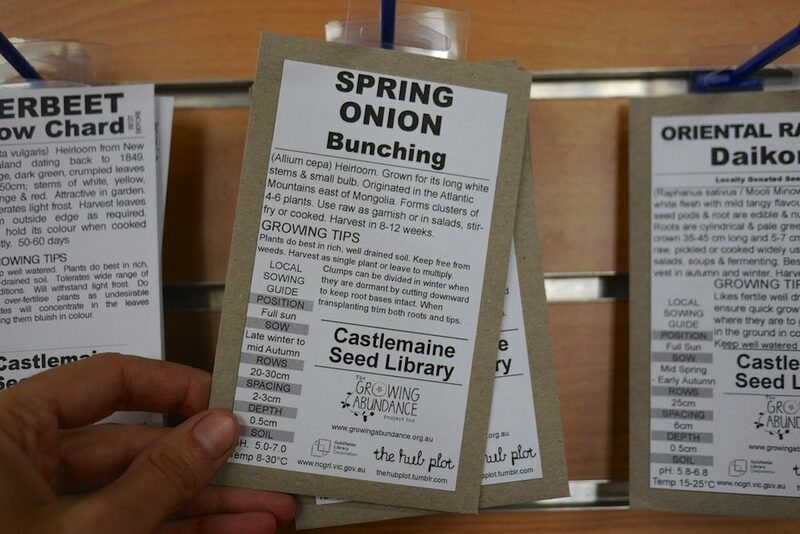 The Growing Abundance seed library is a new project, housed in the Castlemaine Public Library. 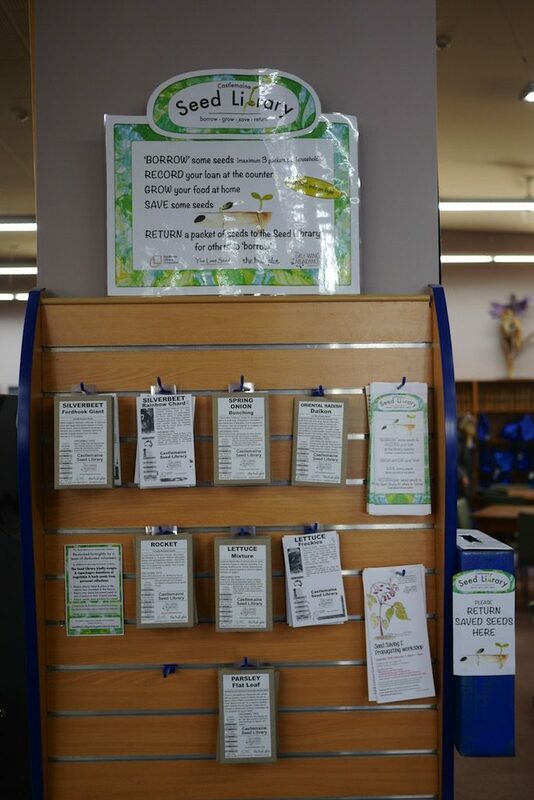 Anyone can borrow a packet of seeds – which includes lots of info about growing, saving and storing – by borrowing a packet and leaving their details at the front desk. 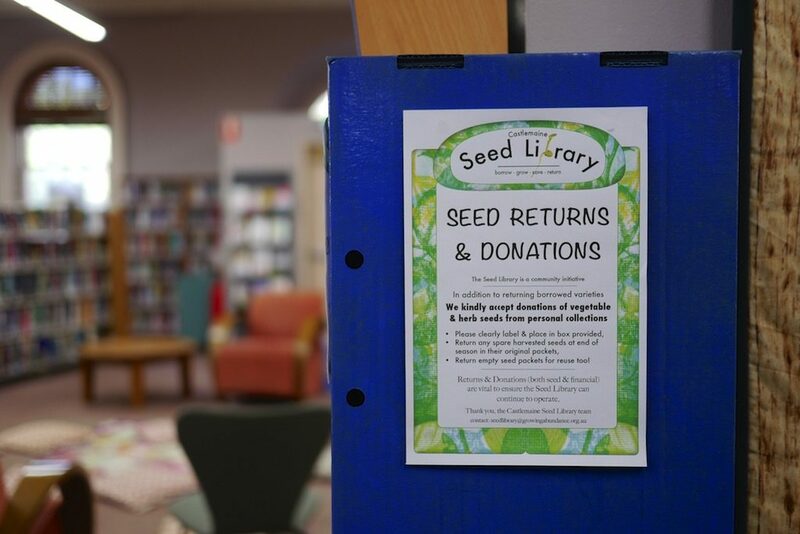 Borrowers are also encouraged to make a return, in the form of saved seeds of the same type, though this aspect is not required in order to borrow seeds. 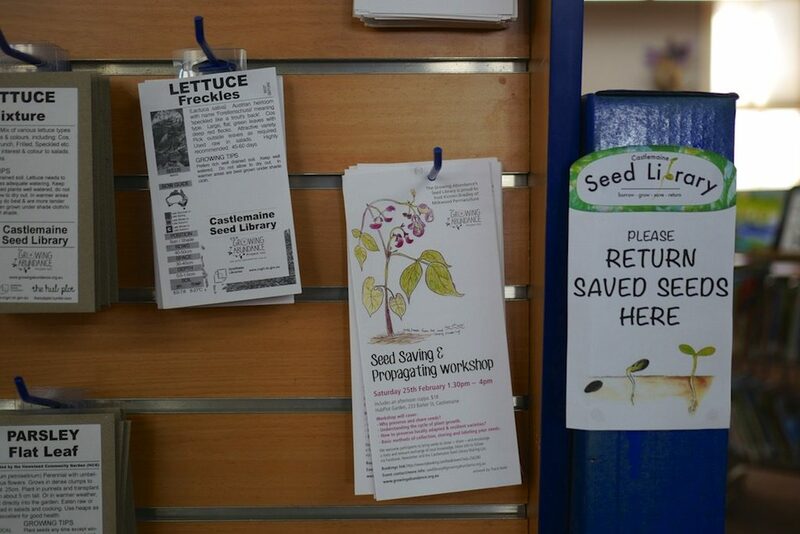 Supported by regular working bees and seed saving workshops, the seed library hopes to slowly grow a committed community of seed savers, to support all those local eaters. 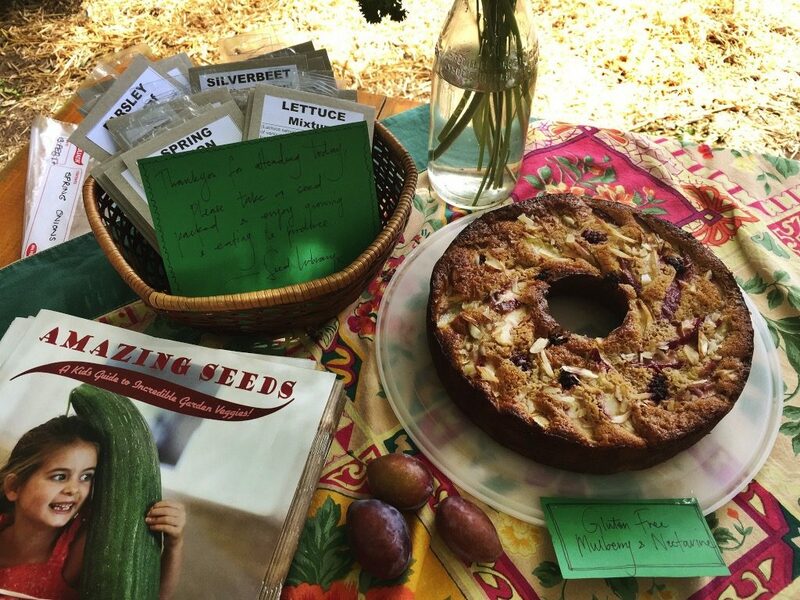 A ‘sometimes project’ of Growing Abundance, community events are just what they sound like – a community of folks coming together to share, appreciate and celebrate local food. 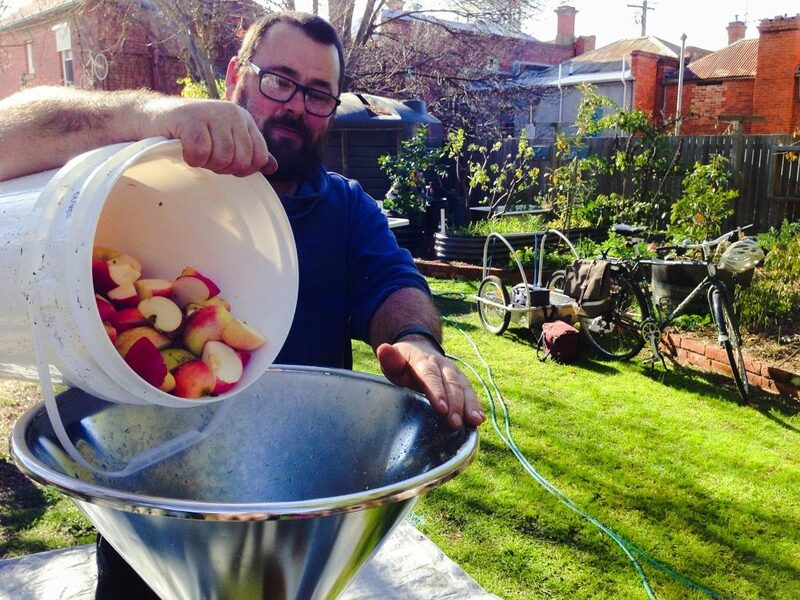 Sometimes the events take the form of an apple juicing day, with everyone bringing food, and sometimes it’s a locally catered feast, and sometimes it’s a ‘fruit jam’ day of preserving the harvest. 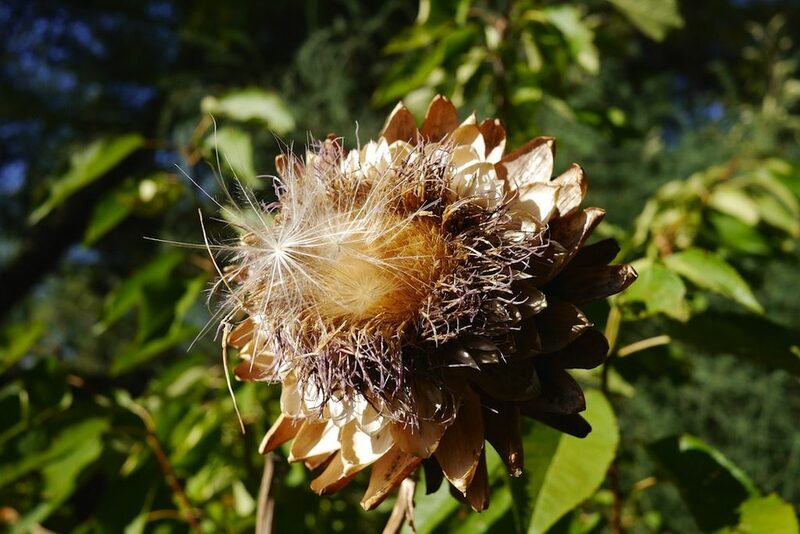 Events are seasonally driven by the bounty of the area and the energy of participants. 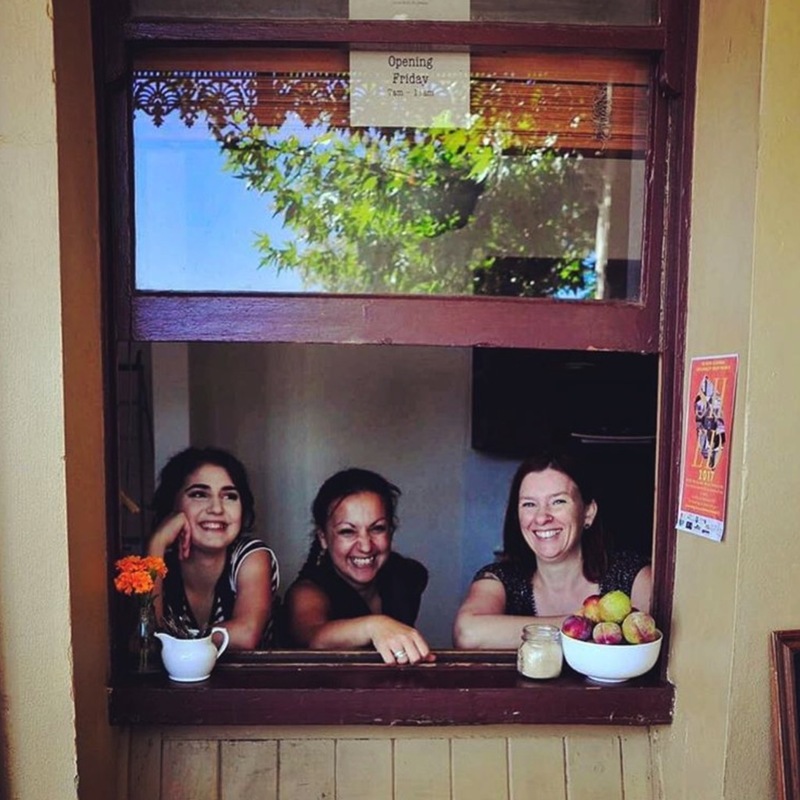 Starting in a few weeks, Growing Abundance are launching a cafe called The Local, a social enterprise cafe serving delicious waste-free food to the community. 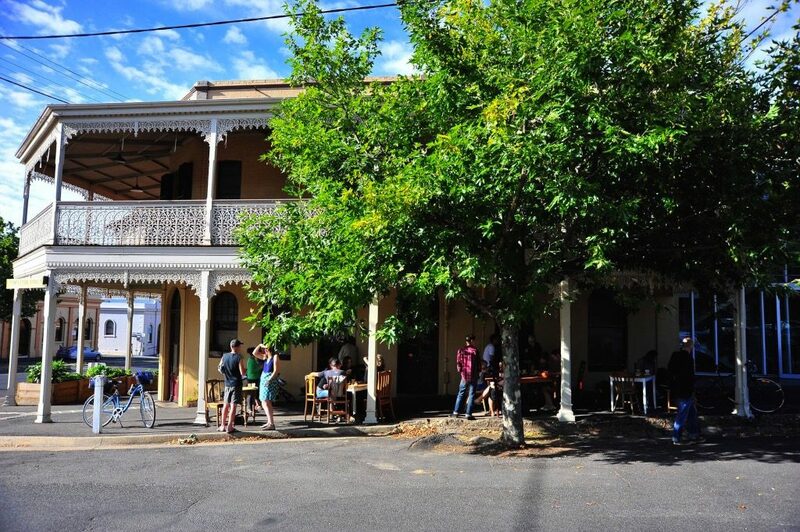 Takeaway meals are currently offered on Friday + Saturday night in a three stack tiffin (buy a tiffin there, or BYO) and there’s a coffee window open on the side street. 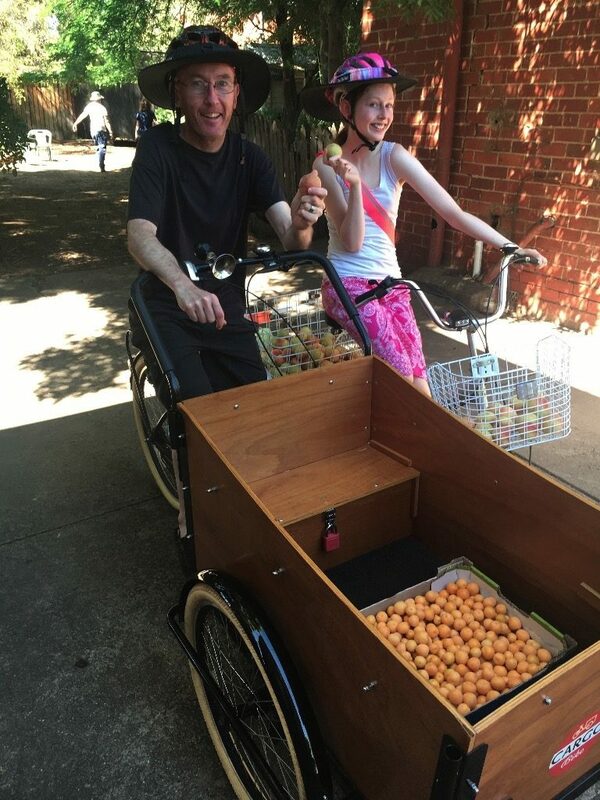 The full cafe will be up and running in a few weeks, and of course, the menu will include overflow from Growing Abundance’s harvest program, as well as gorgeous, cheap and fast meals of local food done right. 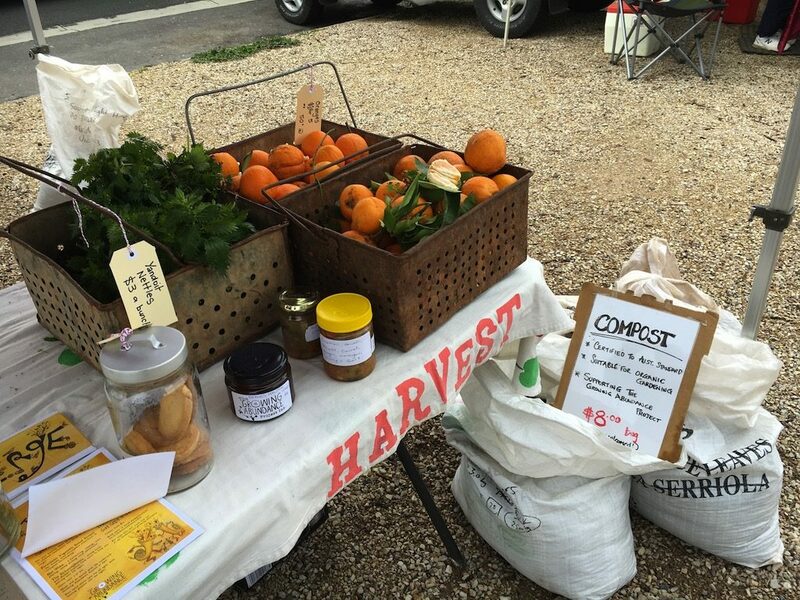 I had a chat to Ingrid Phyland, co-ordinator of the harvest program, about how you might get the seed of something like growing abundance going, inparticular the harvest program. 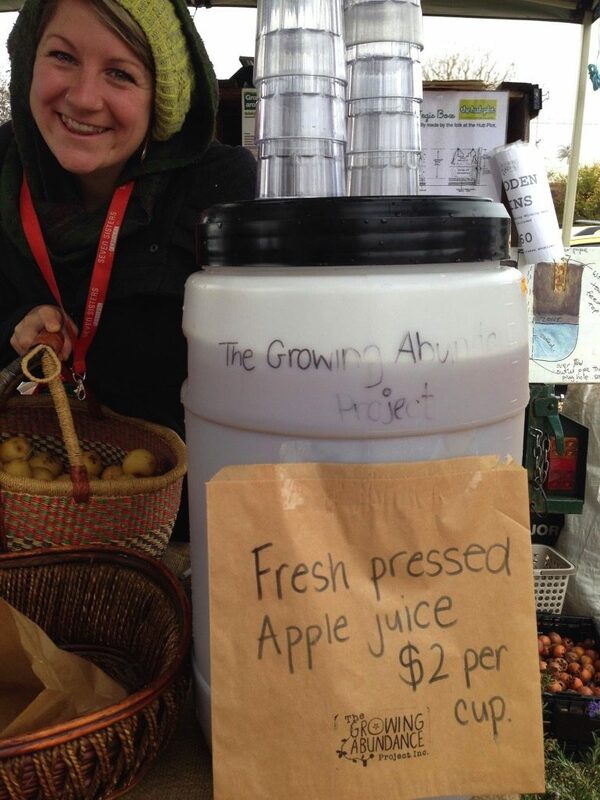 “If you start with a small group of friends going to harvest the wild trees by roadsides, that can be a good way to get a conversation going – or another good way to start is by holding a community event, like a community apple juicing day! Of course, every community is different, and what skills and energy you have to share is different too. But there’s a lot of good ideas here for community resilience that could be easily replicated, or inspired by, or built on. It all depends on you, and how you want to spend your time on this earth. 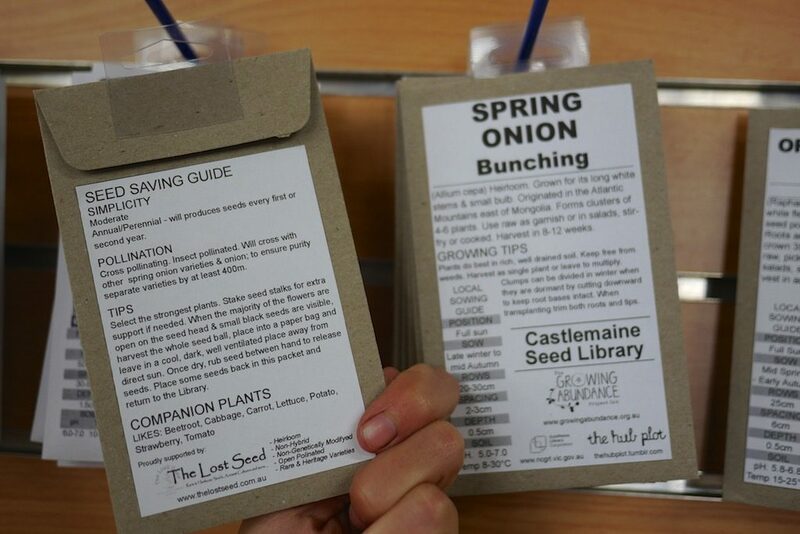 A big thanks to everyone at Growing Abundance for everything that they do, and for hosting us at the recent Seed Saving workshop. 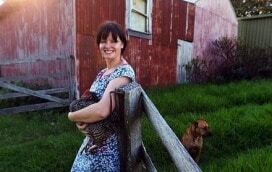 Wishing you all a good harvest, a quiet winter, and a big beautiful spring. Hooray, it's feijoa season! Perfumed green fruits like no other, . . 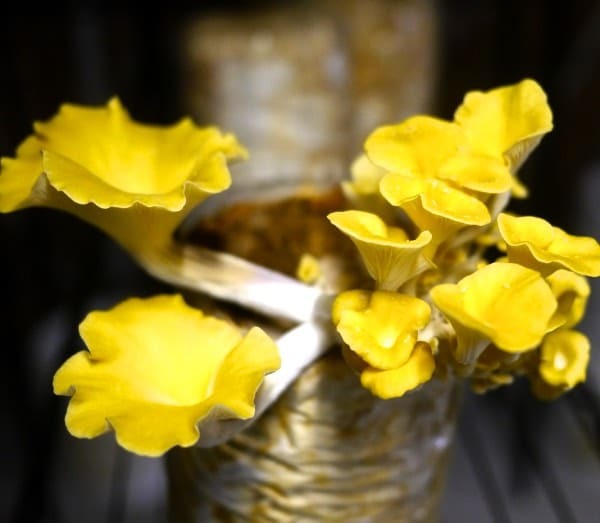 Calling all potential local food futurists! 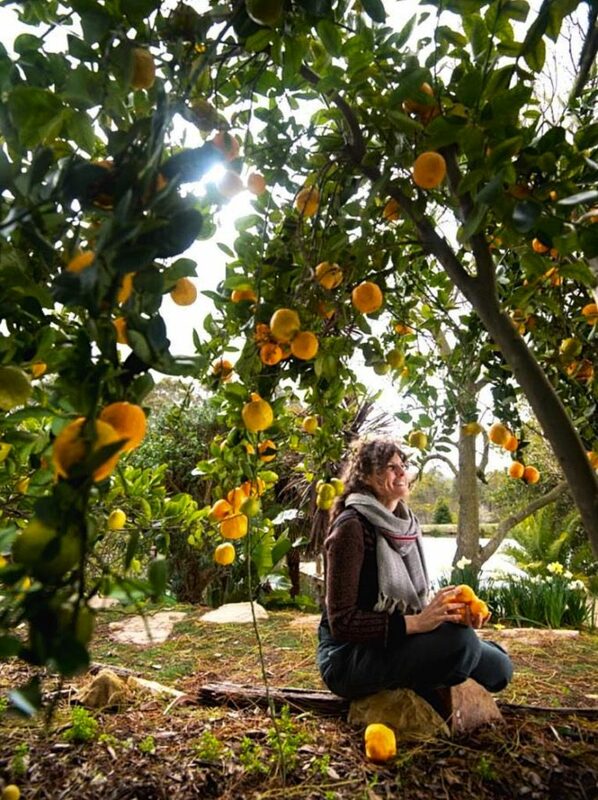 A quick note that th . .
Storing the season for year-round stews of organic tomatoey goodn . .
Join us for 2 days of permaculture design theory and action. 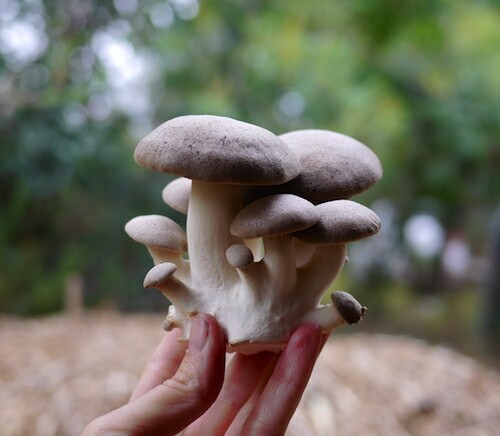 You will leave this course with a solid grounding of how you can apply permaculture principles in your home, garden, apartment or farm.